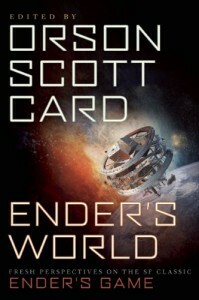 Ender’s World is a collection of essays on Orson Scott Card’s classic, [b:Ender's Game|375802|Ender's Game (Ender's Saga, #1)|Orson Scott Card|http://d.gr-assets.com/books/1364033163s/375802.jpg|2422333], which also features Q&As with fans, answered by Card himself. The introduction is written by Card and over those pages, he carefully analyzes and explains what the story of Ender’s Game and the character of Ender Wiggins mean and mean to him. He notes that none of this was in his head when he first wrote the short story decades ago. He just wrote what felt right, but as time passed and the book rose to its well-earned critical acclaim, his introduction shows just how much he cares for the character and the world he created. The collected works in this book identify people who have come to care for Ender and his Game as well, but for differing reasons. The variance in authors, from military strategist to TV show creator and more, indicates that Ender’s Game is a book that transcends the realm of science fiction and speaks to people of all walks of life. This is a theme that played strongly for me with Ender’s Game and its sequel, [b:Speaker for the Dead|7967|Speaker for the Dead (Ender's Saga, #2)|Orson Scott Card|http://d.gr-assets.com/books/1295660894s/7967.jpg|2327777] because of my appreciation for Joseph Campbell’s [b:The Hero With a Thousand Faces|588138|The Hero With a Thousand Faces|Joseph Campbell|http://d.gr-assets.com/books/1176059620s/588138.jpg|971054]. I’m the person who forces herself to sit through the "Return to the Shire" at the end of Return of the King and loves Peter Jackson for including it even though, yes, it was pretty boring. 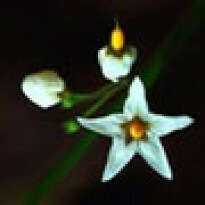 But I will argue tooth and nail that it was necessary to show the path of the hero. There is no true victory celebration for a hero because the battle for him or her is always a Pyrrhic one. They might save their home and the people they love, but they sacrifice their souls to do so, leaving them no home to return to. "The greatest horror of war is the fateful transformation of our children into heroes." Before I turn this into my own essay about what Ender’s Game means to me, let me simply recommend this book to any fan of the Ender saga. You may not enjoy or agree with all the points expressed, but hopefully you'll appreciate just how deeply this story has reached for some and why.